You know you’re Greek when you say “opa” every time someone drops/ breaks something. Since I never seem to have a good Greek seasoning in the spice cabinet, I long ago decided to make my own and boy does it come in handy for all sorts of dishes, tonight grilled Greek chicken and pork kabobs with a chunky tzatziki sauce to go with, served on a plate or warm pita bread garnished with sliced red onions or whatever you like on souvlaki/pita sandwich. I mixed up a blend of 2 tablespoons freshly squeezed lemon juice, 4+1/2 tablespoons EVOO, 3-4 teaspoons homemade Greek seasoning and some freshly ground pepper and divided it up for the separate bowls of chicken and pork cubes. 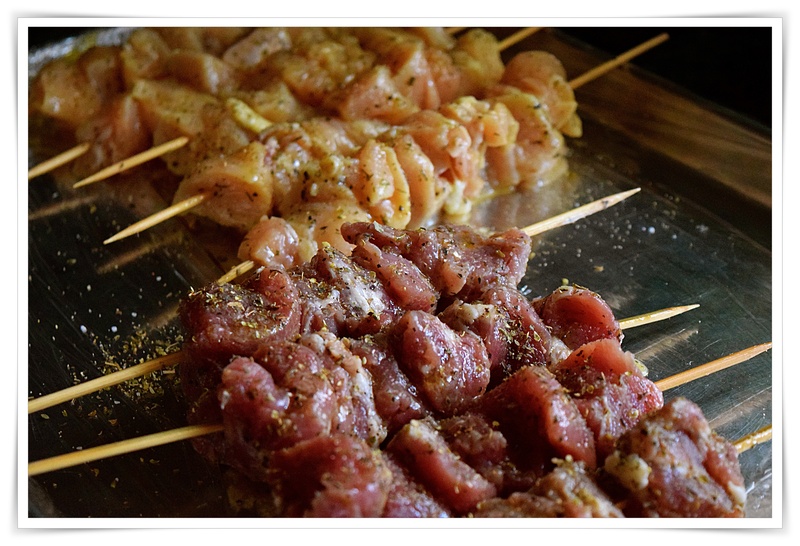 I prepared ahead of time and refrigerated for a few hours before skewering them for grilling. Grill the kabab and serve with tzatziki. A nice side is a fantastic Greek salad and warm pita bread. Thoroughly blend and refrigerate at least for at least 2 hours. 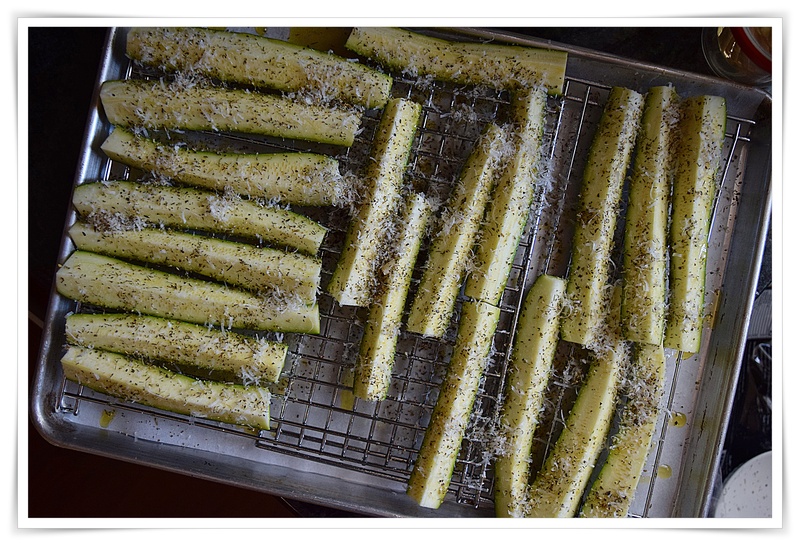 4 washed and trimmed zucchini, quartered lengthwise and place the zucchini spears on the rack. Drizzle with EVOO and season with homemade Greek seasoning and finely grated parmesan cheese. Another option is to sprinkle with a few bread crumbs, roast the zucchini for 10 minutes and to get a little golden brown touch, turn up the broiler and watch for your preferred golden-ness.